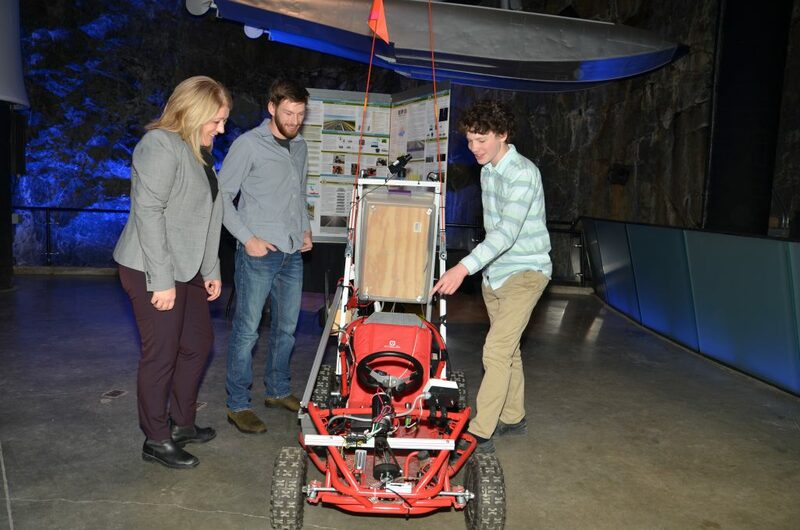 The Sudbury Regional Science Fair celebrated Greater Sudbury students who competed at the Canada-Wide Science Fair in Ottawa from May 12 to 19, 2018 and returned home with a number of awards, including Best in Fair. The committee also launched their 50th anniversary by showing a video that will serve to promote science fair and its impact on the students. The six students who attended the Canada-Wide Science Fair presented their projects and talked about their science fair journey and what impact it had on them. Over one hundred grade 7 and 8 students attended the event and also participated in Science North school programs to instruct and inspire them to do their own science fair project. 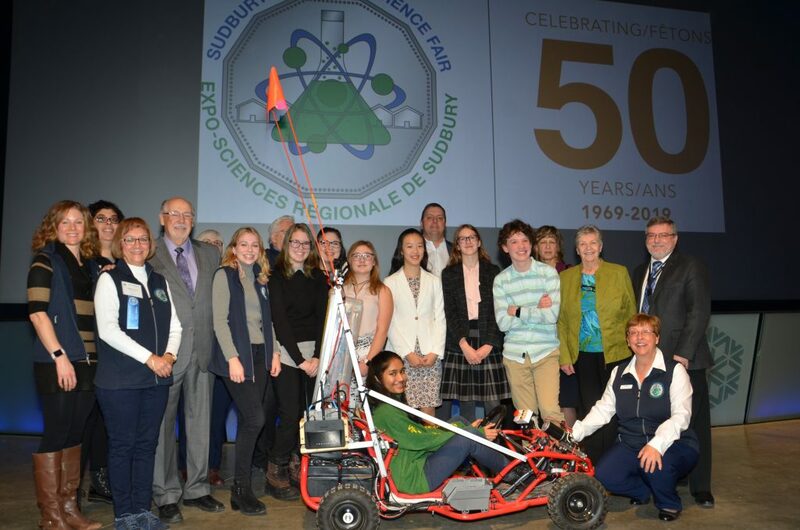 “As the Sudbury Regional Science Fair (SRSF) launches its 50th anniversary, its 18 member committee decided to use this milestone to put in the extra effort to encourage teachers to do project-based science leading to a science fair project as a culminating activity. We organized this event to celebrate the 2018 grand winners and to have them inspire students with their experiences” said Nicole Chiasson, Chair of the SRSF. Doreen Dewar, Chair of the Sudbury Rainbow District School Board, Raymond Desjardins, Vice Chair of the Sudbury Catholic District School Board and Danielle Venne, Director of Student Learning (grades 7 to 12), spoke at the event about how the science fair experience can spark an interest in science and lead to unexpected discoveries. Students, SRSF committee members, science fair judges, sponsors, teachers, school principals and science fair supporters visited with the students at their projects hearing about the hypothesis, methods and conclusions on their winning projects or innovations. Brendon Matusch won the Best Project Award, a Gold Medal, the Platinum Award for Best Intermediate Project, the Excellence Award in the Intermediate Category, the Challenge Award – Innovation in the Intermediate Category, a $750 Youth Can Innovate Award Intermediate, a $4,000 Entrance Scholarship to Western University, and an all-expenses paid trip to the European Union Contest for Young Scientists as a member of Team Canada-EUCYS in September. 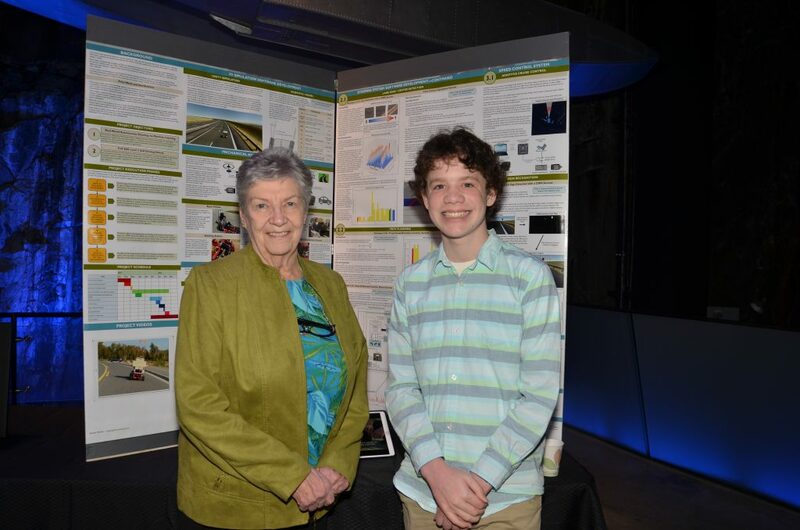 A Grade 10 student at Lo-Ellen Park Secondary School at the time of the competition and now in grade 11 at te same school, Brendon Matusch investigated techniques for the use of convolutional neural networks for autonomous driving. 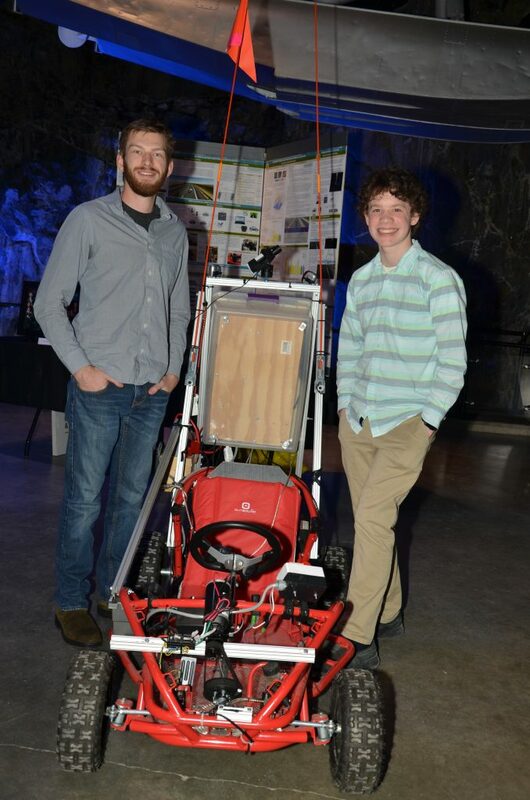 For this, Brendon developed a level 2 autonomous vehicle using components for vision, path planning, speed control, and stop sign detection. 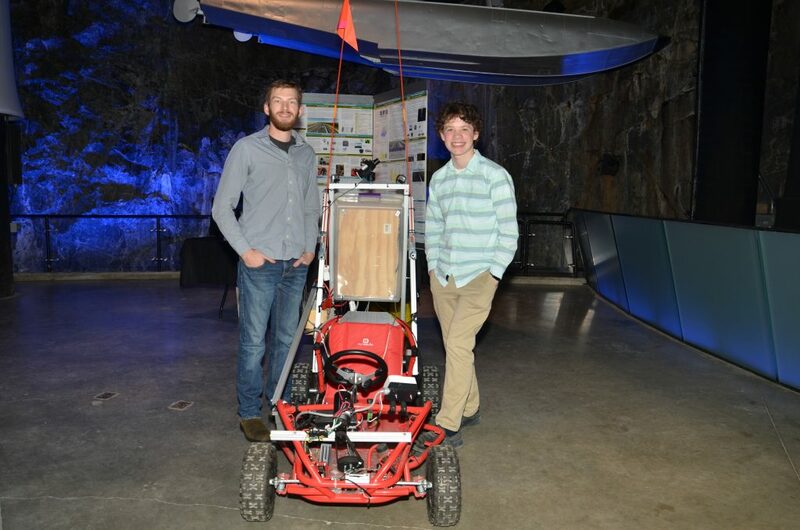 As part of his project, these variables were tested in a custom 3D simulation, as well as on a physical vehicle based on a modified electric go-cart. Brendon’s project “An Investigation of Techniques for Autonomous Driving Using Convolutional Neural Networks” garnered him First Place, Intermediate Division, Computer Sciences; the Laurentian University Computer Science or Mathematics Award; the Bharti School of Engineering Award; the Milman Industries Equipment Innovation Award; the Laurentian University Scholarship Award and the Ontario Power Generation Innovation Award at the Sudbury Regional Science Fair. Nethra Wickramasinghe earned a Silver Medal, an Excellence Award in the Intermediate Category and a $2,000 Entrance Scholarship to Western University. 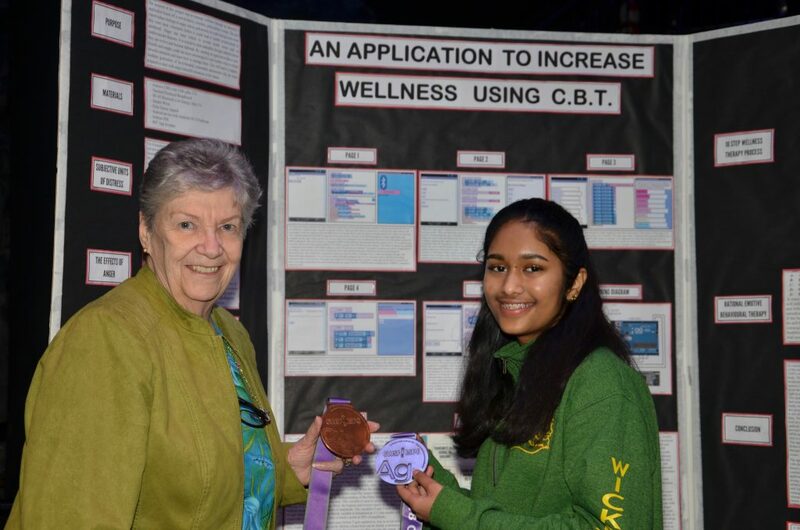 A Grade 9 student at Lockerby Composite School at the time of the competition and now in grade 10 at the same school, Nethra Wickramasinghe developed a non-invasive, wireless system to measure and regulate a patient’s heart rate to help reduce stress levels and increase wellness. 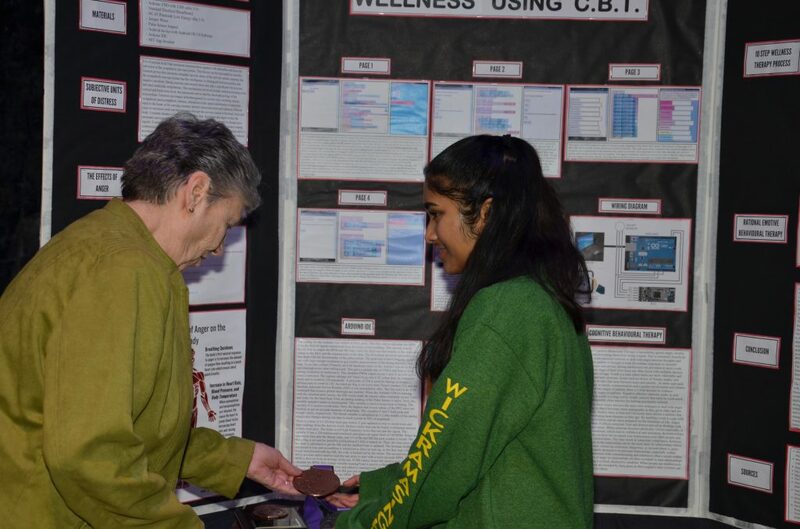 For her project, “An Application to Manage Wellness with CBT,” Nethra created a system that uses a sensor to track pulse signals. The signals are sent to the arduino platform, which converts the signal to beats per minute (BPM). The data is sent through Bluetooth to an application on an Android smartphone device. The device uses the data to determine whether the user is stressed, angry or anxious, and trains the user to overcome these mental health issues through cognitive behavioural therapy (CBT), rational emotive behavioural therapy and subjective units of distress. The application uses various interactive exercises to actively improve the user’s mental health and increase their personal wellness. Nethra captured First Place, Intermediate Division, Life Sciences and the Biotechnology Award at the Sudbury Regional Science Fair. Kerry Yang earned a Gold Medal, an Excellence Award in the Junior Category, a Challenge Award – Health in the Junior Category, and a $4,000 entrance scholarship to Western University. 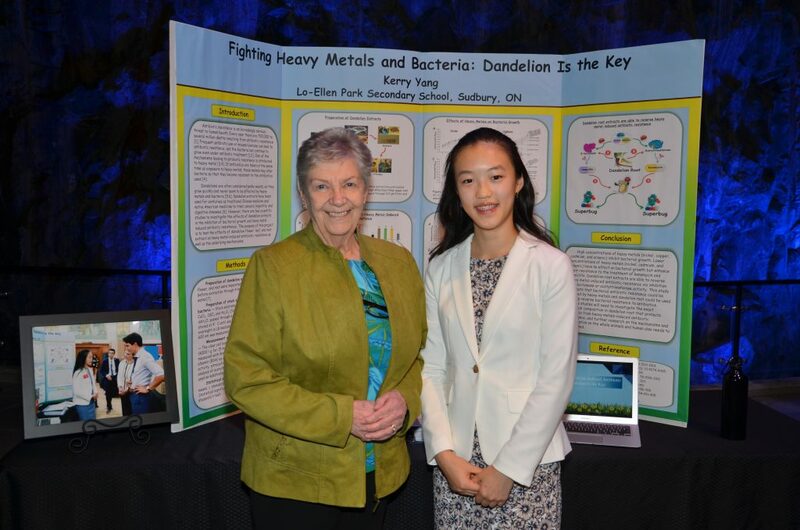 A grade 8 student at Lo-Ellen Park Secondary School at the time of the competition and now in grade 9 at the same school, Kerry Yang investigated the use of dandelion root to reduce antibiotic resistance. For her project “Fighting Heavy Metals and Bacteria: Dandelion is the Key,” Kerry examined the severity of antibiotic resistance in human health and determined that one of the causing mechanisms is heavy metal exposure. For her project, Kerry studied the beneficial role of dandelion extracts on heavy metal-induced antibiotic resistance. Kerry determined that bacterial antibiotic resistance could be induced by heavy metals and dandelion root could be used to help reverse bacterial resistance to antibiotics. Kerry took home First Place, Junior Division, Life Sciences, the Founding Members’ Award; the Laurentian University Biology Award and the Laurentian University Chemistry/Biochemistry Award at the Sudbury Regional Science Fair. Rochelle Larivière earned a Silver Medal, an Excellence Award in the Junior Category and a $2,000 Entrance Scholarship to Western University. 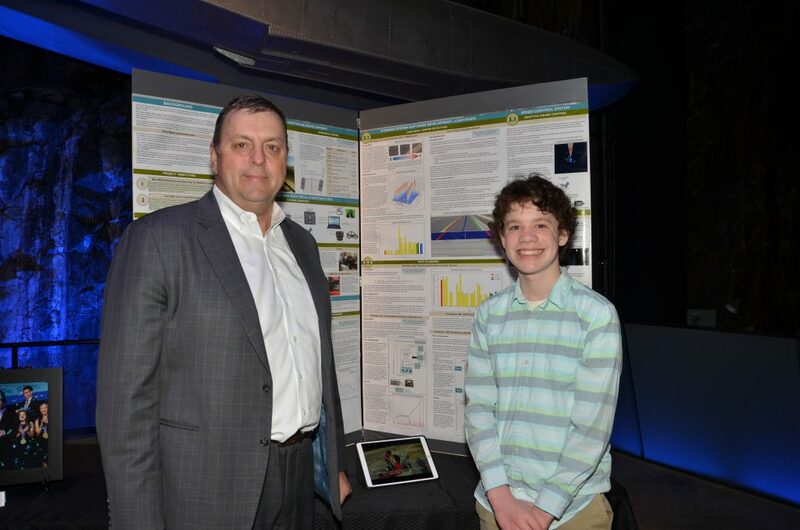 A grade 8 student at Ecole St-Paul (Lively) at the time of the competition and now a student at Ecole secondaire du Sacré-Coeur, Rochelle Larivière investigated the effect of electronic equipment on the phoria of the eye. Through tests with a Maddox rod, using subjects of various ages, Rochelle evaluated the impact of cellular phones and virtual reality equipment on the condition of the visual axes of the eye. She wanted to know if the use of these tools have an impact or affect the health of the eyes. 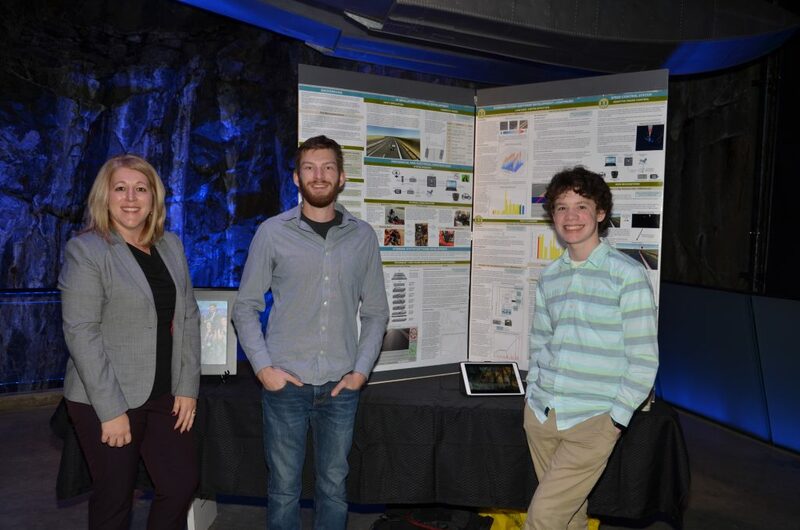 Rochelle took home First Place, Junior Division, Life Sciences; the Child Health Research Award; the Collège Boréal Award; the Laurentian University Physics Award at the Sudbury Regional Science Fair. Sofya Mishchenko and Katherine Brown enjoyed their experience at the Canada-Wide Science Fair. Grade 8 students from Marymount Academy now in grade 9 at the same school, Sofya Mishchenko and Katherine Brown, developed an eco-friendly way to generate electricity. They developed a prototype of their ‘chair of the future” creating a temperature differential by using a device called the Peltier Tile. They inserted a cold substance into the compartment underneath the chair so that when a person sat on the chair, they generated electricity. Sofya and Katherine took home First Place, Junior Division, Engineering and the Ontario Power Generation Energy Award at the Sudbury Regional Science Fair.